World Social Work Day at the United Nations was an opportunity for students and professionals to come together to discuss emerging issues within the Social Work profession. The 2018 event, held March 25 and 26, centered around the UN’s Sustainable Development Goals (SDGs), Climate Change, and Social Work Practice. There are 17 goals that members of the United Nations set as priorities for overall development. These include poverty, hunger, health, education, gender equality, water, energy, work, economic growth, sustainable cities, climate action, and building peace and justice – all issues social work has been tackling since the beginning of the profession. It’s only logical to have social workers actively engaged in the work being done at the macro-level. The two-day event began with a student conference at Fordham University. Students from across the country came together to discuss issues such as the human impact of climate change, how climate has caused forced migration, natural disasters, and more. We discussed at length how social workers seek to mediate such events, from working with refugee populations, to Red Cross disaster response, including such tasks as obtaining Medically Assisted Treatment for those battling chemical dependency amidst a natural disaster. We discussed community involvement (using the phrase “nothing about us without us” to demonstrate the importance of community engagement and buy-in when it comes to program development and interventions). This discussion emphasized the true generalist nature of the profession, and linked the Sustainable Development Goals together to show that despite the population one is working with, social workers are still working together for the common good. · Promoting well-being through sustainable human relationships. This global agenda was drafted by members of three international organizations: International Federation of Social Workers (IFSW), International Association of Schools of Social Work (IASSW), and the International Council on Social Welfare (ICSW). It appears to align with the tenants of trauma-informed care (Safety, Trustworthiness, Choice, Collaboration, and Empowerment), which has been a major focus throughout our coursework at the University at Buffalo. The student event was also a great networking opportunity as well as a way to learn about other great programs around the country. For example, the School of Social Work at the University of Connecticut has a program to help social work students learn how to run for office! The day at the UN was filled with hundreds of students and professionals eager to hear the progress being made in the profession in regards to environmental justice. A panel of professionals from a range of backgrounds, from academia to the New York City Mayor’s Office of Sustainability came together to discuss the role we as professionals play in accomplishing the UN’s development goals. The panel encouraged political engagement and leading by example as fundamental means to making lasting change. As a student interested in Macro level work, it was refreshing to attend an event discussing “big picture” issues and programmatic efforts being made to make changes for national agencies, client groups, and the social work profession as a whole. It allowed me to see the true flexibility the MSW degree offers, as well as provided me with ideas of how different international agencies might be to work for at a Macro level at programming and policy. 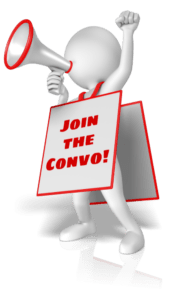 You can read the archive of this #MacroSW chat – the biggest one ever! – here. The chat archive was submitted to NASW per its request for comments. Ever wondered about how one becomes an international social worker? Read on! Two University at Buffalo (UB) School of Social Work students attended this year’s Social Work Day at the U.N. They share their experiences, what inspired them and what they learned. As part of our commitment to macro practice and international social work, UB contributed to the students’ travel expenses. We thank Monmouth University School of Social Work for its role in coordination of this event! “The International Federation of Social Workers @IFSW and the International Association of Schools of Social Work @IASSW_AIET are pleased to announce that the 33rd Annual Social Work Day at the United Nations is scheduled for Monday, April 4, 2016.
from Monmouth University School of Social Work website. Ashley Barnes: International social work is something I am passionate about. What draws me to to it is the personal connection I will have with those whom I will be serving. As someone from a very mixed background, I know firsthand how important international social work is. Growing up in my community (the South Bronx), social workers were not always positively received. There were a lot of barriers to engagement; often social workers did not know how to effectively engage with people from different ethnic and religious backgrounds. Over the course of my academic career, I was invested in learning as much as possible about international social work. Join us as we ask, “What have you done for Social Work Month?” We want to hear all about the observances that you social workers made or have plans for during the last week of #SWmonth. We’ll offer a few of our own activities to start out the chat – and we ask you to share those photos, articles or other resources that will provide inspiration for next year! Why is March the month chosen for Scoial Work Month? What did you do for Social Work Month? Did your employer observe Social Work Month in any way, or your social work students? Can you share your best times / ideas / activities for Social Work Month? Have you received or given any signs of appreciation – verbal or otherwise – because it is prime time to #ThankASocialWorker? Any advice for a great 2017 SW Month?